Now that we've gone through our Stamp Highlights, I want to introduce a new feature we're trying out here on the ME blog called Design Inspiration. 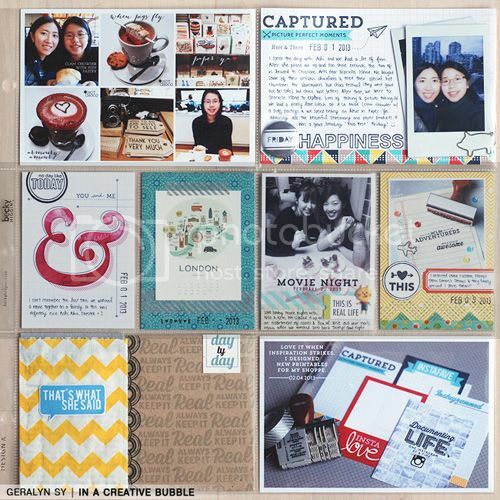 These will be hosted by our super Design Team to help you use your ME stamps on projects other than cards. The first designer up to bat is the talented Geralyn Sy. Geralyn's design aesthetics are spot on. I said this to her before via email "so young and so talented"! I am positive you will agree with me over the course of the next few months when you see her layouts and Project Life spreads. They are always beautiful, bright, and perfect! Now, I am pleased to pass the mic to Geralyn! Hey everyone! I love the versatility of Mama Elephant's stamps and today, I wanted to share with you a Project Life spread I made. 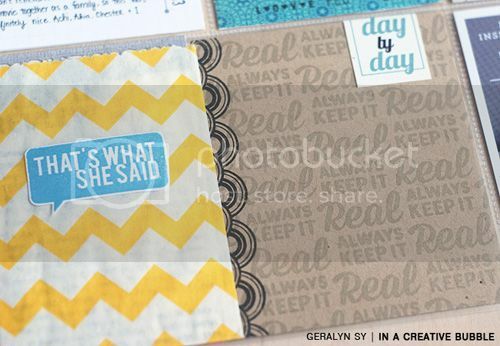 In particular, the new Say What and So Breezy sets have some awesome phrases that are perfect for Project Life. Can you spot how I used them in my spread below? I just wanted to point out a few ways I used the new stamp sets. For the bottom left slot, I wanted to have a pocket to include some hidden journaling. The pocket only took up half of the slot, so I used one of the stamps from Say What and stamped it repeatedly on kraft paper to decorate the right side. 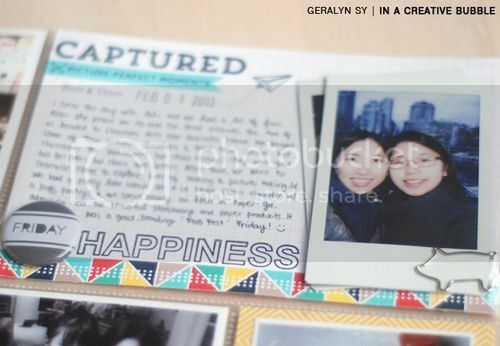 I also used the outlined 'Happiness' stamp and the airplane stamp to embellish this journaling card. as always, just LOVE anything Geralyn does, but her PL pages are prolly one of my favorites-- love how versatile she made the ME stamps in this spread! Geralyn, your layout is so cheery and colorful! I keep going back and finding a new detail:) So awesome! !